A cat recently adopted from a shelter is a hero to his new pet parents after detecting a small fire in time to prevent it from igniting the home’s straw insulation. The cat, Tilly, found her way into the heart’s of the Clayton family from the day they met. Tilly detected the fire in a surprising display of intuition and awareness before smoke was visible or odoriferous. According to Mashable, Tilly alerted her owners to the fire by incessantly purring with her eyes fixated on the particular part of the ceiling where the fire was located. Tilly’s owner, Matt, finally checked the area to determine what was causing Tilly’s strange behavior; after simply touching the room’s downlight, smoke poured out from the ceiling. Firefighters quickly arrived on the scene and noted that without Tilly’s intervention- the entire house would have been engulfed in flames within the hour. 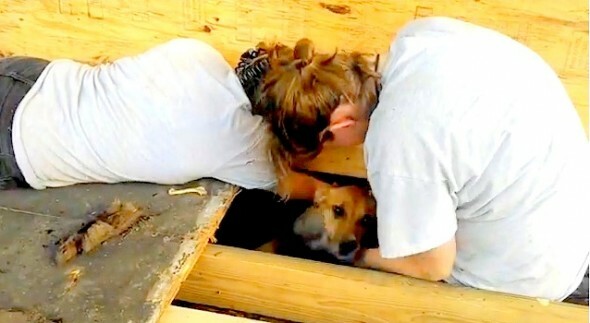 In a strange turn of events, the Humane Society found itself digging with their bare hands to reach a dog that was trapped underneath a house. Allie, who had been recently adopted from a shelter, went missing from her home earlier this week. Her owner Delilah searched far and wide for the missing pooch- before strange noises led her to realize that Allie had somehow found her way into the space under Delilah’s home. The Humane Society decided to perform this unusual rescue to reach the dog as quickly as possible, as it had at this point presumably been trapped with neither food nor water for two full days. The team of workers included three heroes that worked in spite of the stifling heat. Lifewithdogs.tv reports that Allie has been rescued and that the opening in the floorboards that led to this precarious situation has been sealed shut. This season has been an unfortunate one for the folks down at the Del Mar race track. A cacophony of accidents has plagued those at Del Mar and put both horses and their jockeys in serious danger. But the accidents have done more than cause serious injury and threaten lives, as nine horses met with an untimely demise over the course of just nine days. The accidents, according to the LA Times, have been attributed to the turf and track. The atypical Polytrack has been deemed too tough, causing many horses to crash. 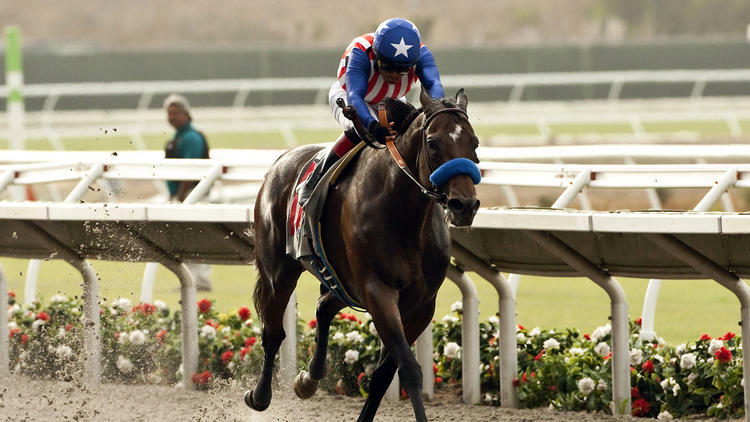 Some analysts also believe that some of the horses who perished were merely in too poor of health to be racing; nevertheless, Del Mar has moved forward with its plan to change its track and turf to help prevent future incidents. DeafDogsRock Publishes Guide for Training Deaf Dogs! Training a dog is no easy task, and when your dog can’t hear it can be even more difficult to teach them to behave. Most dog owners rely on verbal commands to interact with their pets, so training a dog that cannot hear these commands requires a unique approach. In addition to using signals instead of sounds, owners also face the challenge of meeting their dog’s special needs. Dr. Jennifer Messer of DeafDogsRock addresses these concerns with her comprehensive guide on how to properly train a deaf dog. This comprehensive guide will take you through the journey of a trainer and her interaction with several deaf dogs. This post and others posted to the blog are invaluable resources for anyone raising a deaf dog. If you know someone caring for a deaf dog or have one yourself, we encourage you to head over to their blog and check it out!